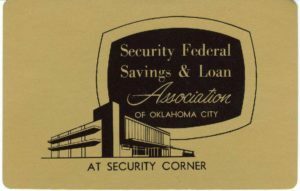 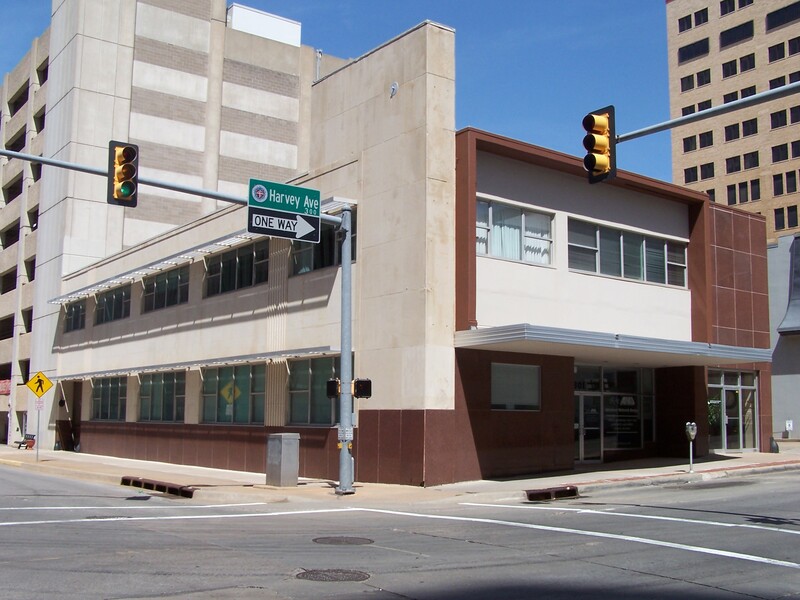 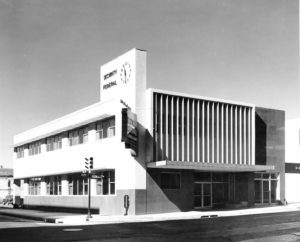 The two-story, 9,200-square-foot Security Federal Savings and Loan building was constructed in 1958 and featured louvered windows and a jutting sign capped with a clock. After decades in this location, Security Federal merged with Sooner Federal in 1981 and soon vacated the building. 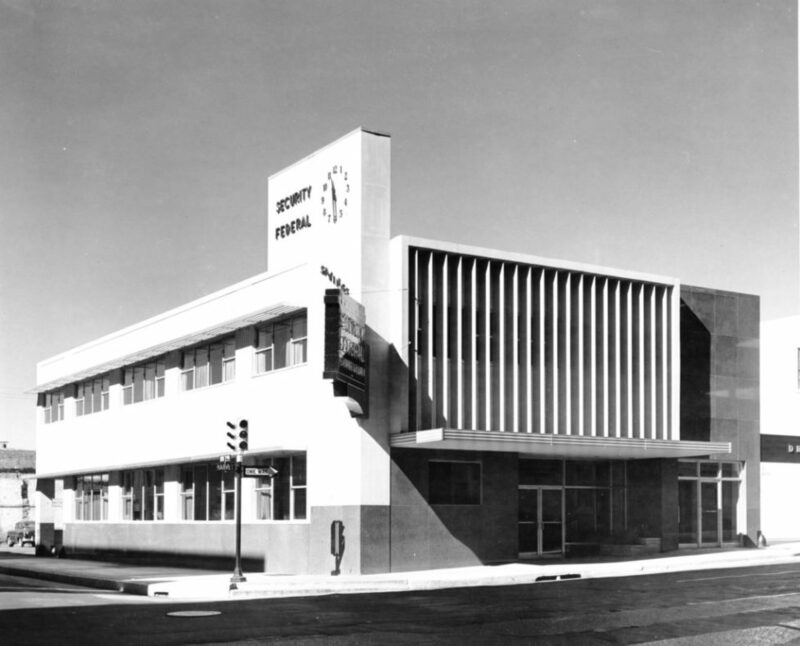 The louvers were removed during a subsequent remodel, but the rest of the building retains most of its original elements.